As the Norwegian Pearl cruises in to port in Miami, the anchors go down and the partygoers in their best Halloween costumes and Kiss make-up make their way down the gantry on to dry land. Its time to reflect on another adventure at sea as they head home from KISS KRUISE V.
It all started a few days before as Marco, John, Dizzy, Brian, David and the returning Richard (recovered from his altercation with a motorbike) met up in Miami to catch up and prepare for their trip to Jamaica aboard the luxury vessel that is the Norwegian Pearl cruise liner. 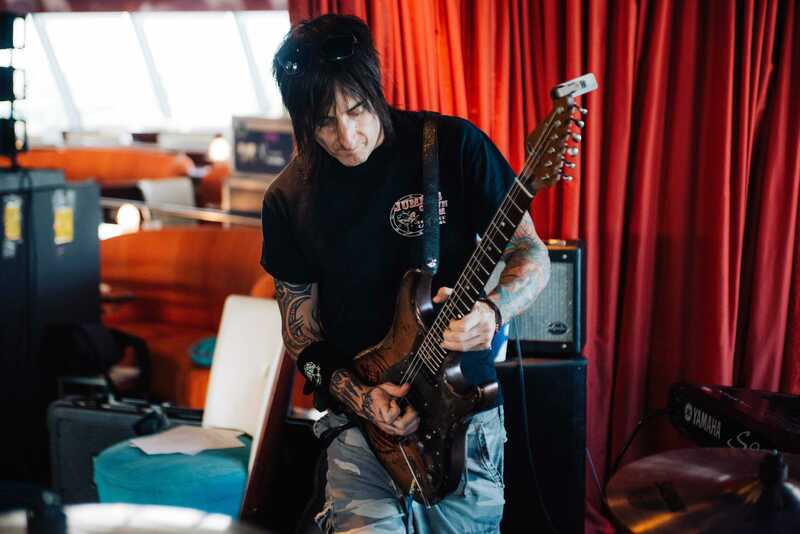 The first day aboard was greeted with the obligatory Kiss welcome performance on the main deck, this time unmasked and electric as opposed to the usual acoustic performance, a sign of the mayhem and fun to come over the next four days. 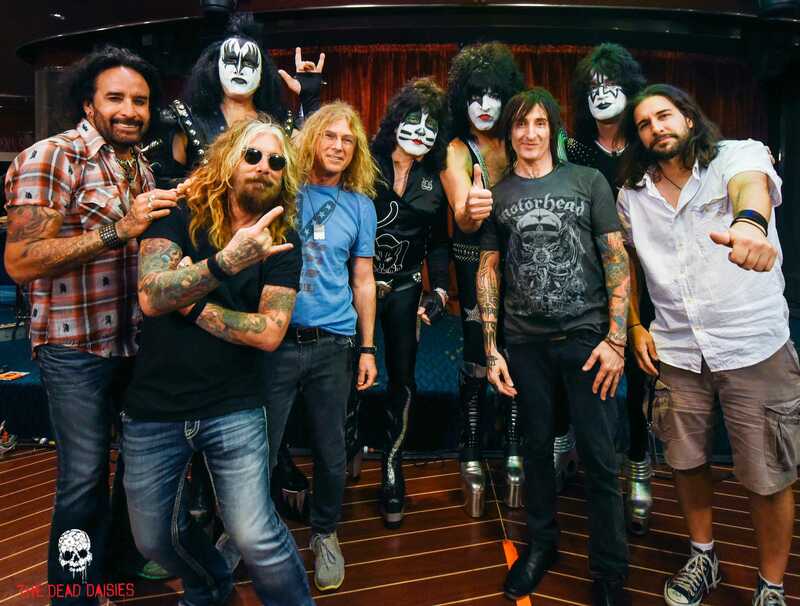 The Dead Daisies made their first live appearance on the very stage Kiss had welcomed everyone at 11pm that same night. Greeted by a large welcoming crowd, the band burst in to a set full of energy and including a selection from the ‘Revolución’ album and classics like ‘Helter Skelter’. 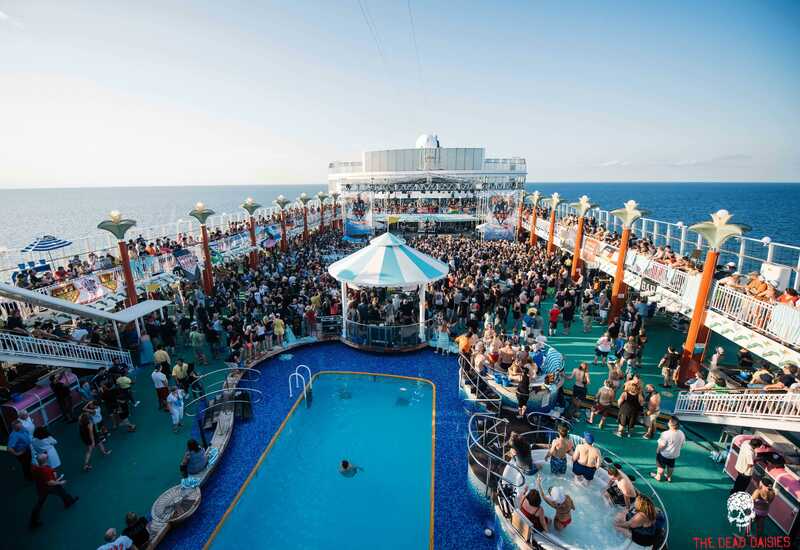 The band would play three concerts in all during the cruise, which included an afternoon performance on the Saturday on the pool deck once more and a show on the Monday night in the Atrium venue. For some of the band, being on an exclusive KISS ship was musical heaven, particularly for life long Kiss fan Brian Tichy who brought along his personal collection of vinyl for Gene and Paul to sign. KISS are one of those bands that the Daisies work so well alongside with, their fan base really seem to get what John Corabi and co are all about. With a ship as big as this, there is always something to do whether its watching other bands, going to the cinema, shopping or sunbathing on the deck, all of which the boys took full advantage of to recharge and prepare for the upcoming European tour. 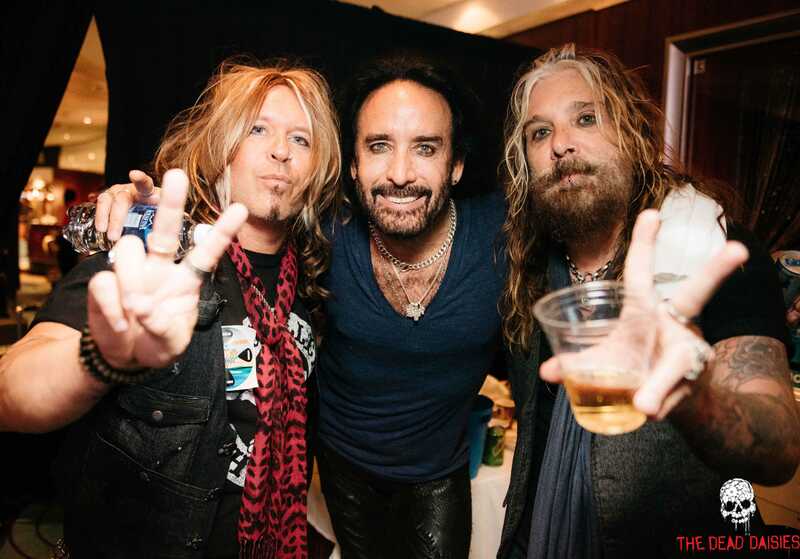 Mixed in with some fun with fans at the bowling alley, meet and greet sessions and loads of fun with Kiss fans, some just discovering the band for the first time, this was another successful journey for The Dead Daisies.